The objective was to design a music app that touches the hearts of the users. 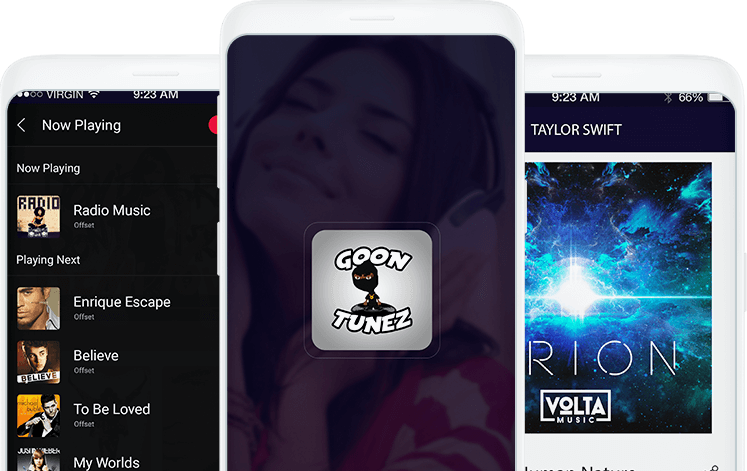 Goontunez app was designed to suit the needs of the music lovers and every function in the app was knitted around the convenience of the users. The primary goal behind this case study is to let the users know how the designing guidelines were applied in context to the actual work and how we countered the issues faced in designing. Our team of savvy designers has left no stone unturned to get an exquisite design for the application that sets it apart on a competitive edge. The designs made are conceptual, lucid, and coherent. We’ve made efficient use of all available resources and areas ensuring that a high-quality environment (landscape, open space, etc.) is maintained. We have pursued a high standard of design in order to create an environment that is practical and readily understood and appreciated by the end users. To accomplish a clean and lucid design, there were multiple phases through which the app was passed to get flawless designs as an end product. Eventually, after successful completion of the design phase, the development was the next step to be executed. This was the transition stage from design to development phase to get the product developed in accordance to design and the concept. Only after conducting rigorous sessions of testing, the application was launched in the market.